The caring, professional staff at The Pointe at Kilpatrick creates an extended family that provides companionship, programs, and assistance with the activities of daily living. Our residents enjoy the privacy of their own apartments and the support they need at this time in their lives. Our community welcomes seniors 65 and older, regardless of income, into this nurturing environment. As an assisted living community offering supportive living, The Pointe at Kilpatrick provides an alternative to nursing home care for elderly loved ones who require ongoing support, care, and supervision. Our compassionate staff accommodates the needs of a wide range of residents, including those suffering from terminal illnesses and memory loss diseases such as Alzheimer’s and dementia. We pride ourselves on providing an atmosphere where dignity, individuality, and personal choice are the focus for those in our care. The Pointe at Kilpatrick features an all-inclusive price that provides the resident with their apartment, three meals a day in our restaurant-style dining room, weekly housekeeping and laundry service, and assistance with daily living activities. Our senior living accommodations include one-bedroom apartments as well as shared suites, and amenities like scheduled transportation and maintenance services are included as well. Our community amenities offer a wide range of activities to suit the tastes of any resident, from educational programs to arts and crafts, and from our wellness/fitness clinic to our Internet library. At The Pointe, all of our residents play an integral role in the planning of the programs and activities and participate in our Resident Council regarding everything from food to events. Our residents’ care plans are always established by their needs, and ongoing health assessments help our residents face the challenges of day-to-day life. 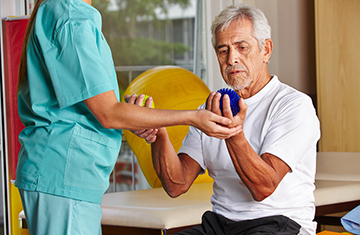 Our health services range from medication reminders and transportation to memory care and hospice care. Our kindhearted staff is devoted to meeting the individual needs of each of our residents, and we provide support through medical services, emotional support, spiritual resources, and purposeful programs and activities. Though located in Crestwood, The Pointe at Kilpatrick has provided outstanding service to residents from throughout the area, including those from Midlothian, Alsip, Palos Heights, Orland Park, Tinley Park, Worth, Chicago Ridge, and Blue Island. For more information about our accommodations or services, we encourage you to contact our wonderful team of professionals. We are ready to make this the best experience for you.